Does it matter what kind you use to cleanse your face? I’d say yes, generally, it does matter. 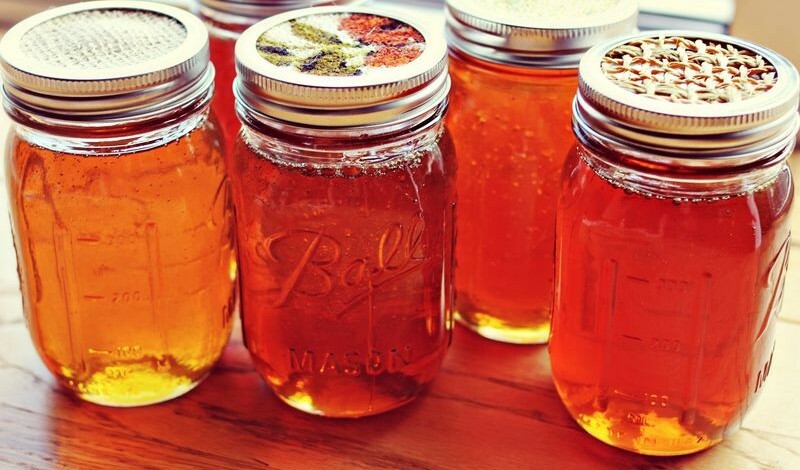 The basic rule is to use raw, unfiltered honey, so it retains all the good stuff the bees put in there. Processed honey really isn’t any better than any other processed product, in my opinion – for eating, or for your skin. The honey quality situation can get pretty scandalous. If you are reading this post, it’s likely you care about things like keeping antibiotics and pesticides out of the products you put on your skin. So, your source is important, and buying organic and from small retailers or farmer’s markets is your best bet for quality honey. But beyond getting a high quality, unprocessed honey, is there any difference between using local wildflower, manuka, or orange blossom? There’s evidence that the darker honeys have more antioxidants, so that’s a good attribute to seek. Honey can be named for the primary type of blossom the bees were feeding on – like sage honey, for example, is made by bees feeding on sage blossoms. Certainly the flavor of these single floral source varietals is different, and I’ve noticed different effects on my skin as well (more on that in a moment). One might expect the honey retains some of the properties of the plant, so if you like the effect of thyme on your skin, you might try thyme honey. You can also find infused honeys, where something (like lavender blossom) is combined with honey once the bees have finished their job. This affects flavor, but also may add useful properties to benefit your skin. Manuka honey: Made by bees feeding on New Zealand manuka bush, it has well-studied (and fantastic) anti-bacterial properties. Because the manuka bush is also called the tea tree, it’s often confused with a related plant, with similar properties, from which we get tea tree oil. But, they aren’t exactly the same plant (admittedly, right up until I researched this post, I didn’t know the difference). In any case, all quality honey is anti-bacterial, which is one reason it can be so great for skin issues – but manuka is particularly good. If I’m looking to fight off or prevent a blemish, this is my go-to. It is not as moisturizing for me as some other honeys, so I switch it up sometimes, or just skip the manuka on drier areas of my face. You’ll often see manuka graded as “12+” or “16+,” which refers to the amount of good healing stuff in it, so higher numbers are better (and more expensive). For me, if I’m going to bother with manuka at all, I may as well get the highest grade I can find. I love Wedderspoon’s, because I can choose the grade I want and they have a glass container option (plus it smells and tastes wonderful). It’s thick and caramel-colored, quite opaque (cuz it’s filled with goodness) and spreads over the skin well. Buckwheat honey: This is probably the darkest honey I’ve ever tried. I love a really deep honey smell and taste, and this is a favorite for when I need moisture. It’s thick and not super sweet (for honey) and spreads nicely on skin. Of course, honeys are going to have a season, and currently it’s buckwheat season, so I’ve stocked up from Marshall’s Farm. If you are in the San Francisco Bay Area you can find this at many stores and farmer’s markets, and some things are available for order online. Look for your local farm’s version near you! Pumpkin honey: This is thick, not super sweet, wonderfully moisturizing, and I love the way it spreads. It has a short season, though, and next year I’ll remember to stock up. Thyme honey: I haven’t used this enough to fully differentiate it from the others yet, but I wanted to mention it for those of you who like to use thyme EO/infusion/hydrosol. Wedderspoon sells a nice version. You might be wondering what exactly it is I do with honey. I use it almost every morning as a mask/wash, choosing which type based on the skin concern of the moment. I feel consistent use (no matter the specific type) has made my skin feel softer, thicker (in a good way), and behave in a more resilient fashion. I’m not super fond of using honey for makeup removal. It works for that, but I’d rather let it sit on cleanish skin before my morning shower and do its thing. I put it on cuts, scrapes, and blemishes to speed healing. A new thing I like quite a lot for blemishes is to put a drop of lavender EO in my hand, and mix with a tiny bit of manuka. I spread a thin layer of this over a troubled area, and sometimes leave on overnight. The EO thins out the honey so it’s not quite as sticky, but I mostly sleep on my back anyway. This is a great option when I have a blemish, or strong suspicion one’s waiting to pounce, but an overnight application of clay would be too drying.